When I think about first international travel, over preparation comes in my mind. It’s because the excitement and curiosity collides when it’s our first time to try new things. But for me who tends to forget little details, it’s totally obvious that during my first time abroad, I still get some lapses and oops during the preparation phase. These lapses and oops are actually not helpful. I was annoyed, stressed and I wasted my time because I did not manage to do a little search on my side. Laziness has its own downside I tell you. But because we learn from experience, it is still good to have some stupidity. Believe me, it is okay, especially if it’s for the first time. Second time, you still have a chance. Second chances are acceptable, but for the third time? Well, welcome to the club! I would love to have more people in this club and celebrate a lot of welcome parties, but my good side is saying that I don’t want you to suffer. So, I would like to share with you my list of the things I should have done before my first international travel and some stories of the effects of the specific causes. Effect: Went outside freezing only wearing three layers including my underwear! Before my travel to Hong Kong, some of my teammates from Manila went there just a week before my travel date. I did ask them how the weather was. They said it’s cold, maybe just like Baguio. Thinking it might be just as cold as the office, maybe around 16-19 degrees. Because the fact is, I’ve never been to Baguio, how am I supposed to know how cold Baguio is? I did ask, but I never searched about the weather myself. Even if I did, I think I still can’t figure the difference between 10 degrees and 16 degrees since I haven’t experienced cold weather before. I just keep on assuming that it was okay, it will be not that cold since summer is coming. The Heck! I bought a new jacket for the travel, but it was useless. Haha. Effect: Always have to get my passport from my bag and it is very inconvenient. Believe me when I say this is a must. It’s very convenient to memorize such details since you will be writing those in each document you’re required to do when out of the country. From the airport until you land. Also, when you will cross to another country like we did from Hong Kong to Macau. Please don’t scold me for forgetting important things like this. The thing is we stayed at my boyfriend’s brother, who is currently living in Hong Kong. I assumed (again) that he will do the task, and for the record he failed. Luckily, I bought a SIM card and the airport using Klook and contacted his brother on our way to settle on his flat. It’s so nice of him to meet us and accompany us to his crib. This is because my boyfriend will cover this part. I keep on telling him I will fail in this department pronouncing difficult Cantonese words. Laziness strikes again. And so, it was difficult to communicate. I think if I just learn the basic phrase like thank you and excuse me it will make a difference. Also, learning the numbers will help. One time we loaded our Octopus Card in a convenience store and I gave her HK$20.00. The teller can’t speak English and just told us HK$50.00 in Cantonese and doing some gesture that say no. How am I supposed to understand that?? And so my boyfriend get the point as he heard the word 50 in Cantonese. Whew! It only means that a minimum of HK$50.00 can be loaded to Octopus Card. Aside from the known food to try like egg waffle and chicken feet. I never bother to search any food in Hong Kong. Thinking I can just survived pointing the food and just try it. I won’t say it is bad to have a fun experiment, but it is not good wasting money for things you don’t like and especially when you’re on a budget like me. In every restaurant we ate, we just keep on looking the photos and point out and just try if it is good. Though some of the food are in the Philippines, we still have bad choices which ends up wasting the food because we didn’t like it. Effect: Hard time to buy some medicines. We all hope that we will not get sick while travelling especially if it is only a week or less. But, unexpected things do happen. Hernan, got sick. I know some will just say that you can buy these things while you’re on that country but it will eat some of your time. Like in our experience, we look for stores to buy some medicines which is again a waste of time, luckily the pharmacist knew how to speak English and understood what we want to buy. Also, did you remember about the weather? Yeah, I got colds during our visit in Hong Kong and because I got it two days before our flight, I did not bother to look for another drug store to buy meds for my colds. Effect: VERY inconvenient to ask, get and return things from someone’s bag. I think this is the worst time that I forget to bring a small bag with me. I am not comfortable walking without a bag. I like bringing it to carry essential things with me ALL. THE. TIME. But guess what? I forget to bring one on my first international travel. Boohoo. It was a disaster since I have to put my things in Hernan’s bag and every time I need something, I need to tap him and he will get the bag and I will get the thing I need. Press repeat. Can you imagine the inconvenience? Pasalubong is a term we use in Filipino to bring some gifts or souvenirs from the place we went to people back home. I never thought that my pasalubongs will cause a lot of money. I just thought I will have a lot of extra cash from my budget and spend it to bring some things to my family, workmates, and friends. It turned out that, I bought pasalubong first then spend the extra cash for my travels. Hahaha. To tell you the truth, I’ve been planning to buy one but never I did. 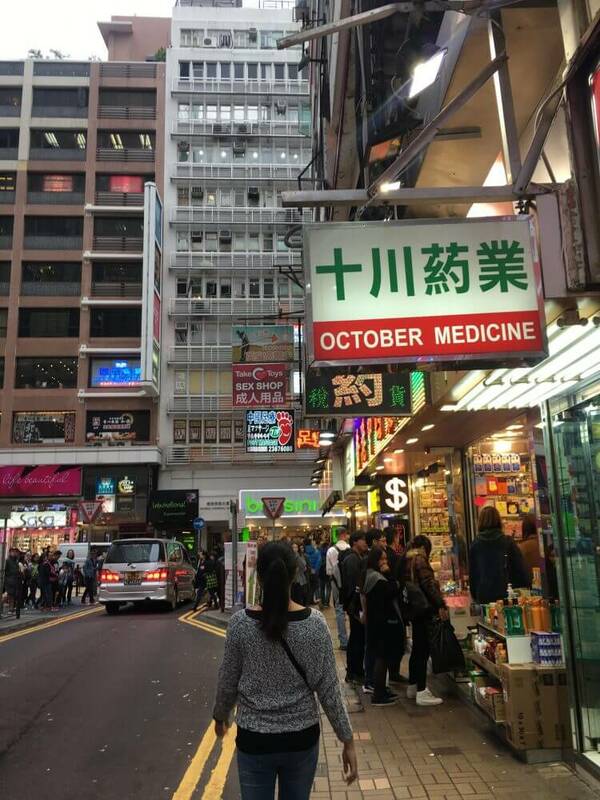 And I never thought that Hong Kong will have a different one. To my surprise when we got to our place, the electronic outlet was different. How am I supposed to charge my gadgets? I panicked a little, but we sneak in my boyfriend’s brother room and found one adapter. Hahaha. Hooray for a little ninja move! Forgetfulness might not be a bad experience after all. I have a lot of it and I’m happy to share my fun, terrible and fruitful memories at the same time. I guess, all I can do is to learn from the experience. Like what I said earlier it is okay if it’s for the first time. Second time, we have second chances, but for the third time? Well, let’s better start planning the welcome party and hope we will not forget something! Do you have some experience similar to this? I would love to hear about it on the comment box below! Also, follow me on Facebook and Instagram for more adventures! Oh, this is truly a big help and a reminder for those that are planning to visit Hong Kong or other countries in the future. I can truly relate with some of your lapses here. Like the adapter, I didn’t know that Hong Kong should have a 3 metal pins on your plug in order for you to enjoy their source of Electricity. Anyway, during my visit, it wasn’t yet cold so the weather was just fine. I’m sure that despite of your lapses and things that you forget to do before ambling around Hong Kong will surely be a reminder and a lesson as well. Gosh yes! I have made many of the above mistakes lol It’s a learning experience though and I’m a better traveler now! I think it’s not that bad that you had a list of did nots from your international travel because now, you got useful information to share to to people. We can all learn from experience and the mistakes that we do, they always make for great stories so I think it’s alright. I am picking up a few lessons from your experience. I agree with every single mistake we learn so much and girl you did that. Learning few local phrases before travelling to new place is always a great help and i try to do that for sure. Always carry a Universal travel adapter is another important thing. Few new things I have learnt from your post and will try to implement them too in my travels for better experience. Experience is really the greatest teacher. I will take note about all of these for my future travels. It always helps that we learn from our mistakes and the mistakes of others. I, too, have experienced a few mishaps on my first international travel. Good thing I didnt make those mistakes the 2nd time around.